Clean, devein and wash the prawns. Marinate the prawns with turmeric powder, chilly powder, pepper powder, lime juice and salt. Keep aside for 15 minutes. Wash and soak the rice in water for 20 minutes. Heat oil and ghee together in a non-stick pan and add the whole spices and onions. Fry till the onions turn pink. Add ginger-garlic paste and fry for a minute. Add green chillies, coriander leaves, mint leaves and coriander powder. Fry till the leaves wilt. Add the marinated prawns and fry for 5 minutes. Switch off the flame. Drain and add the rice to a rice cooker. Pour water, curd and coconut milk. Add salt and the prepared prawn masala and mix well. Cook till done. Meanwhile, fry the onions, cashew nuts and raisins till golden brown. 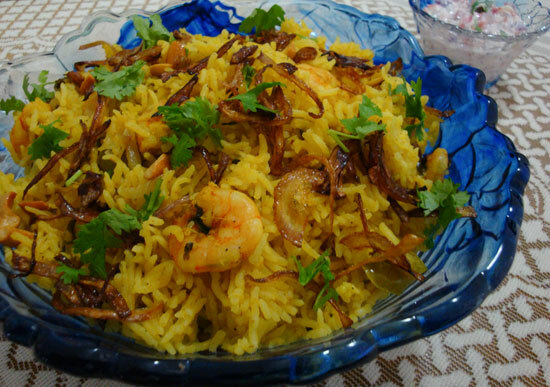 Garnish yummy ‘Prawn Pulao’ with this and serve hot with tomato salad. Enjoy! If you are using a pressure cooker, cook for 4 minutes on a low flame after the first whistle. 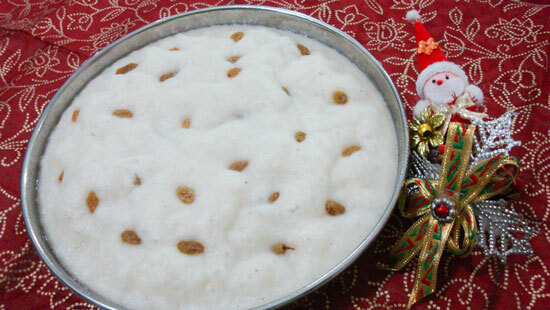 Slurp, such a droolworthy pulao, makes me hungry..Happy New year wishes to u and ur family.. 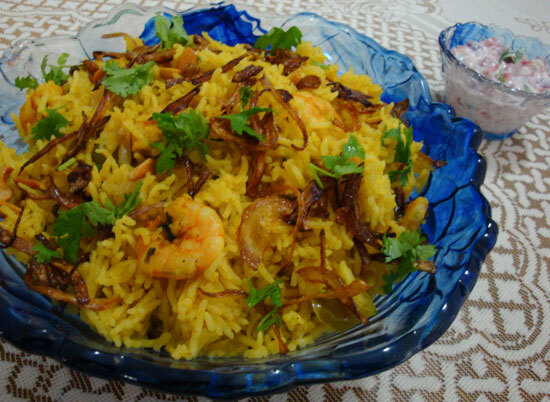 Simply delicious and lipsmacking rice!! Happy New Year chechi!! How are you Doing??? my prayers are with you!! I tried this yesterday and it came out nice. Looks so delicious..simple yet mouthwatering recipe. Thank you Lissie for such a wonderful recipe. It was really a good variety of Pulao.I always think why do not you start a cooking video website where your recipes can be viewed by people like me. Also tried your roasted prawns which was an absolute lip smacking dish. 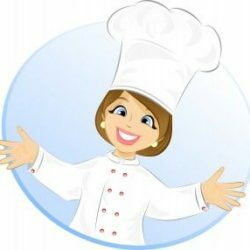 Thank you so much for sharing your recipes with us. God bless you and your family. Luv n prayers Bindhu.